Watersend House located 500m from the majestic Watergate Bay and Jamie Oliver's Fifteen restaurant. 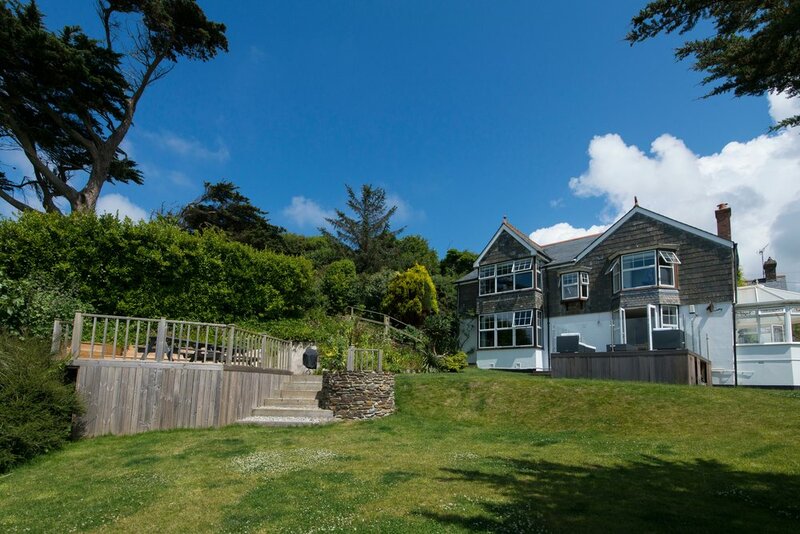 Set in an acre of private landscaped gardens, with views from the hot tub out to sea and beyond. Watersend House is the perfect choice for big family gatherings and hosting those special occasions. sleeping 12 guests in total, two extra make-up beds are available upon request to sleep 14 if required. There are two modern bathrooms, one with bath and separate shower on the first floor and one with shower only on the ground floor. There is also a separate cloakroom on the first floor. The duvets and pillows are all anti-allergy and we provide spare blankets and hand towels. There is a large south-west facing lounge with a woodburner for those chilly winter nights. For your entertainment there is TV with Sky, a DVD player, BOSE sound system and wifi broadband. For rainy days, we provide games and a small book and magazine library. The fully fitted kitchen diner is well equipped with a double electric oven and an AGA, making catering simple. There is another wood burner in the dining room to make it even cosier. The dining room seats 12 and leads out to a tranquil conservatory and a decking area which enjoys the sun nearly all day. For babies and toddlers there is a child stair gate at the bottom of the main stairs and a high chair in the dining room. A travel cot is provided and there are buckets and spades available for your children to enjoy on the beach during your stay. As we have dogs ourselves, Watersend House is dog friendly as we realise how important it is to be able to take your dogs on holiday with you to share the fun of the coastal walks and sandy beaches.